Kageden 2-HINO Akira. Explanations and demonstrations of his method. Do you feel that your physical abilities have reached their limits? Do you want to improve your skills in combat sports? This DVD will help you to surpass yourself! 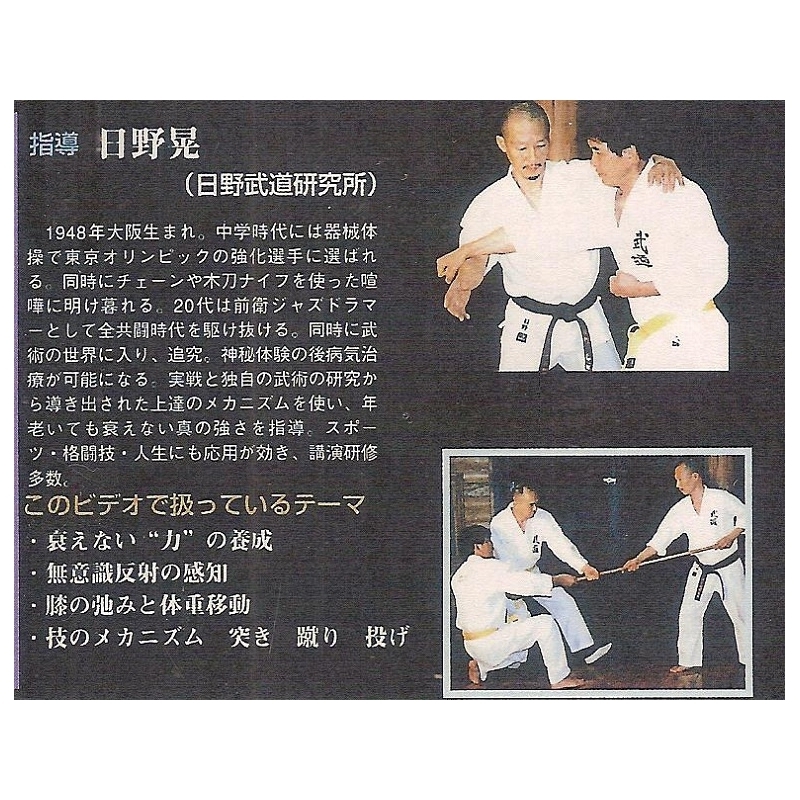 In this DVD, HINO Akira, a quest of BUDO (Japanese martial art ) explains the essence of training of martial arts which does not depend on muscles, either speed.